Earlier this week on pinterest, I saw this string art I had posted about. 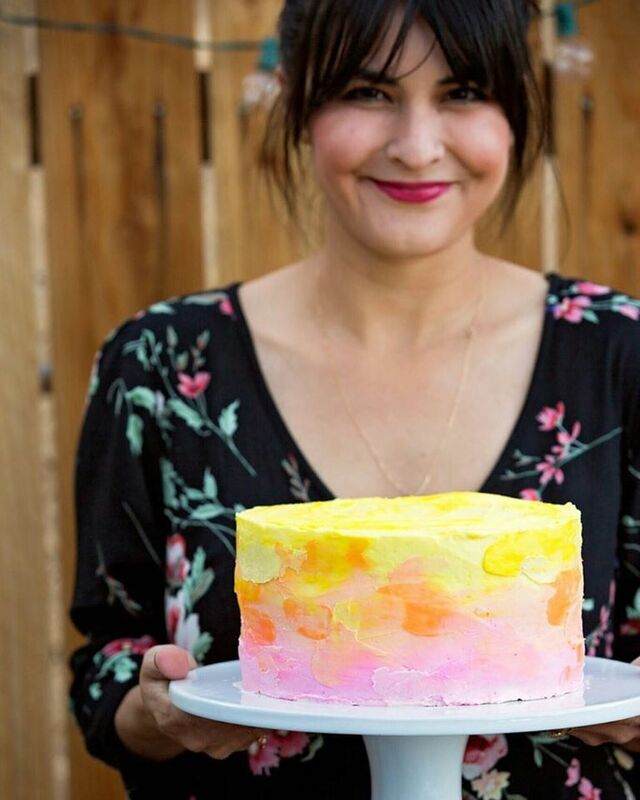 I was very determined to make. And it actually turned to 3 projects! 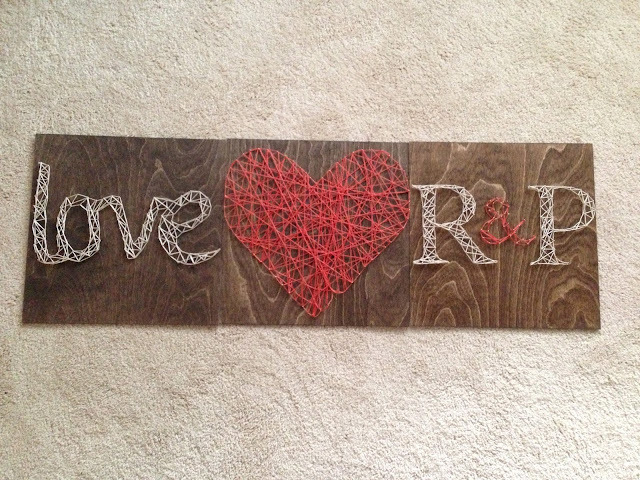 R & P string art! 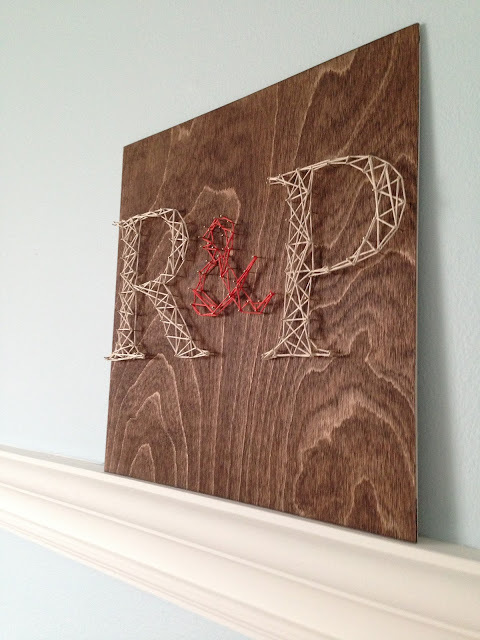 All you need is a piece of square wood, nails, string, wood stain, and a print out/cut out. And it's so very easy. A little time consuming, but easy. Step One: Stain the wood if you'd like. I used a kona brown stain I already had. Step Two: Once the stain is dry (takes about 15 minutes), take your letter print out or shape and tape it to the wood. Step Three: Hammering! Nail around the outline of the shape. I spaced each nail using my thumb. Step Four: Once you're done hammering all the nails in, you can remove the paper. Step Five: String away! Tie a knot on a nail and keep stringing and wrapping the string on the nails until you start seeing your pattern. This was my favorite part. I kind of started by outlining it first, but there is no right way! These string art pieces will be going in our master bedroom. My master bedroom is a work in progress, and I needed more decor for our room, so this was a perfect project for it. Wish I had more pictures of the process of doing this project, but my computer did not save the pictures and deleted them from my camera. Tech malfunction- but hope you enjoyed the finished project!